New Delhi, Nov 23: The Congress on Wednesday termed as "laughable" Union Finance Minister Arun Jaitley's comment that Congress and Hardik Patel-led PAAS were "deceiving each other" on quotas, adding that "it will do everything within the constitutional framework". "It is funny situation. It is laughable because at the moment we are not in power. So, we cannot show any promise in terms of concrete situation," said Congress spokesperson Abhishek Manu Singhvi. "What has been done will be by several quarters within the constitutional framework and will be fully in conformity with constitutional principles. But, today we are out of power," he added. "The funny part of this comment of the Finance Minister is that where his own party is in power - for example in Rajasthan - every possible kind of excess is going on. "They don't have to promise there, they are the government. There they have proved that 50 per cent be damned, 51 per cent be damned, 55 per cent be damned, every kind of reservation is promised right, left and centre," said Singhvi. "Let us not talk double speak, let us not be hypocritical. We have said again and again that unlike the BJP, we are law-abiding and we will do within the constitutional framework." 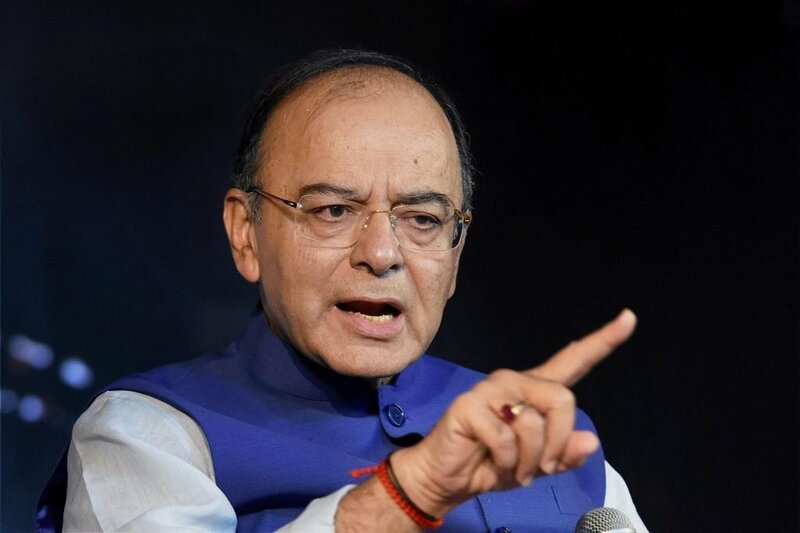 Jaitley on Wednesday mocked the understanding reached between Congress and Hardik Patel-led PAAS on reservation for Patidars, saying it amounts to "deceiving each other" because quotas cannot exceed the constitutional ceiling of 50 per cent.